One of the most common challenges you’ll when buying a home is borrowing the money. Credit scores, down payments, inspections and a whole host of other issues need to be addressed. But you want to buy and remodel the home. You want to borrow the money through the FHA 203(k) Loan program. The 203(k) is a bit trickier than a standard mortgage. Along with credit and inspections and down payments there other “moving parts” to consider. The worst thing you, as a borrower, can do is to jump to conclusions or make too many assumptions about how easy remodeling your home can be (thank you HGTV!) or that you are cut out for it. Some folks just aren’t equipped with the personality for the challenge. Let’s try and dispel a few beliefs about the loan program before they have time to get too rooted in your brain. You can’t. Stop right here – read no more…I’ll save you the time and effort. If you think the FHA 203(k) Remodel path is a DIY program you’re going to waste the lender’s time and get yourself all worked up. Regardless of what the FHA Website says on the issue it’s not going to happen. In my years of helping clients remodel their home through this program I have yet to find a lender that will allow the owner to DIY the project. It’s too risky for the lender and FHA leaves the decision to the lender. Find a reputable contractor. See above. You can’t do the work yourself. I know – you’re thinking that if you can’t “directly” perform the work you’ll just hire your family to help. Sorry, the lender will see that as just another way that “you’ll do the work yourself”. Don’t call your family in on the project unless you want them to help you fund it! You’ll be asked to sign a document that states you have No Conflict of Interest with the contractor you hire. Maybe. It depends. Your project must pass a simple test. Before you begin construction (and before loan approval) your home must be appraised. On your behalf the lender will hire a licensed appraiser who will visit the project and inspect it. He’ll see the home as it sits, right now, in its current condition. If he/she see something that (in his/her opinion) needs repairing you will be asked to add the item(s) to your repair list. It won’t matter whether you like the idea or not. It won’t matter whether or not this is a purchase or a refinance. Yes – if you’re refinancing through the 203(k) you could be asked to repair some parts of your home that you don’t believe needs upgrading/repairing. They don’t. The 203(k) is a lender’s insurance program. In its most basic terms, the US Government will protect the lender and buy back the loan in the event you stop making payments. The lender’s insurance policy, called Private Mortgage Insurance (PMI), has certain hoops and hurdles lenders must abide by. Some lenders don’t/won’t include the loan in their “product line” portfolio. And, for the lenders who do offer it, some don’t know the product very well. Trust me. I know this to be fact. Find an experienced lender before you get too far into the qualifying process or your project will be a challenge, to say the least. They don’t. Most agents see remodeling and the remodel loan as a niche market. The vast majority of the loans made through the 203(k) are foreclosures. Some agents don’t specialize in foreclosures. Some agents wouldn’t be caught in a foreclosed home if their life depended on it. Quite often the foreclosed home has no working utilities, are most often dirty, some have broken windows, they smell and because they’re offered either by a bank or the government the sale will require more paperwork. Who wants to do more work for less money? When you hire an agent one of the first questions you’re asked is: What price range home you can afford? Are you qualified to purchase? Let’s say, as an example, you can afford a $200,000 home. The agent(s) (based on a 6% commission) will earn $12,000. But you want to buy a foreclosed home for $100,000 and borrow an extra $50,000 to repair it. [By the way – that’s a smart move on your part – keep reading]. Remember from above, the home will need to appraise for more than $150,000. Let’s say (for this example) your project appraises for $200,000. You’ve created $50,000 in equity – when you move it! That makes sense. Where does that leave the agent? They’re paid on the original sales price – $100,000 (again assuming a 6% commission), their fee is now $6,000. Because you want to purchase a foreclosure the agent takes a beating on sales commission. That’s a fact. If you throw out all the other reasons real estate agents don’t know about or won’t promote the 203(k), cutting their commission in half is huge and is plenty reason most agents don’t know and don’t want to know about the loan program. It’s not wise to take on any project without doing a little homework. With respect to the 203(k) talk it up, ask for recommendations and begin to gather an experienced “team” of professionals. You’ll be the team’s coach. Put this team together “before” you surf over the FHA’s website or the local foreclosure listing site to house hunt. If you’re planning to refinance with the 203(k) contact your lender, now, and pick their brain. Whether your project will make it to HGTV or not, there are real opportunities waiting for you. 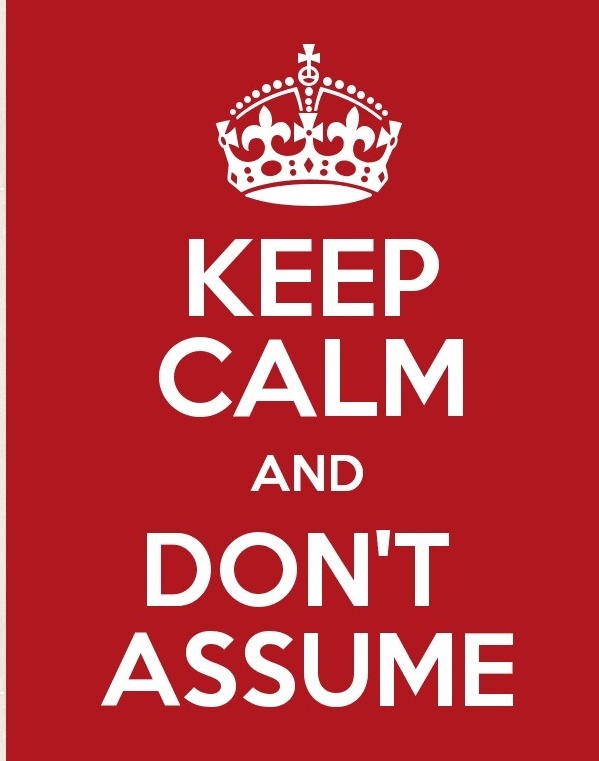 Just don’t assume too much.